The Union County city of Plainfield has a tremendously high number of criminal charges and serious traffic offenses despite once being known as the “the Queen City”. The municipality may only rank 8th in size at 6.03 square miles but that certainly does not correlate in terms of individuals charged with disorderly persons offenses like simple assault, marijuana possession, harassment, disorderly conduct and resisting arrest. The disproportion is even more dramatic when it comes to the number arrested for a crime of the first, second, third or fourth degree. In fact, Plainfield ranks second to only Elizabeth when it comes to criminal charges issued annually. If you are facing a criminal charge in Plainfield Municipal Court or, worse yet, an indictable offense at the Union County Superior Court, you should take the time to speak to a lawyer. The Law Offices of Jonathan F. Marshall, is one of the largest and most experienced criminal defense firms in New Jersey. Our defense team is comprised of eight attorneys, several of whom are former prosecutors, that have over a century in practice combined. We have handled just about every criminal and traffic violation you can imagine so we have the tools you need to defend your charge. The lawyers at the firm are also highly familiar with court system in Union County and routinely appear in Plainfield Municipal Court. If you would like to speak to an attorney in a free initial consultation, contact our Union NJ Office. An attorney is available to help you 24/7 by calling 908-272-1700. Judge: Honorable Joan Robinson Gross, P.J.M.C. Court Sessions: Monday – Friday 9:00 a.m.; Tuesday, Wednesday & Thursday at 7:00 p.m.
For Official Website click here. The Plainfield Municipal Court has jurisdiction to decide criminal cases falling within the category of a disorderly persons offense. This class of charge is essentially the NJ version of a misdemeanor, the only real difference is that we use a different label. The possible jail exposure is up to six (6) months. There are also fines and other monetary assessments that may be assessed. In addition, a conviction results in a criminal record that will show up on a background check. The flip side of all of this is that our attorneys are able to successfully defend these types of charges without a conviction in most cases. What this means is that you have a better chance than not of an outcome where you have no record, namely, an outright dismissal, a downgrade to a municipal ordinance violation, or admission into a diversion program like conditional discharge. 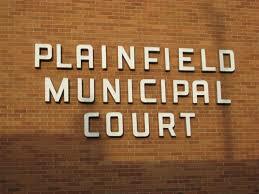 The Plainfield Municipal Court also possesses authority to decide motor vehicle and traffic tickets issued within the city. Although speeding and careless driving are the most common violations of this nature, there are also plenty of Plainfield DWI, driving while suspended, driving without insurance and possession of cds in a motor vehicle charges heard in the court. As lawyers who have served as municipal prosecutors in the past and who have defended thousands of traffic summonses, we have the tools required to help you in defending any summons/ticket you may be facing. Indictable crimes, for example, those involving allegations of distribution of drugs, eluding, burglary, or aggravated assault, can only be dealt with at the Superior Court. This is the court that has jurisdiction over first, second, third and fourth degree crimes issued in Union County. If you were arrested for a criminal offense falling within this class, your case will be referred to Criminal Division in Elizabeth. The days of unrest and riots in Plainfield are long gone although the town still has more than its share of criminal and traffic violations. The Plainfield Police Department is aggressive in pursuing those who violate the law and this is certainly reflected in the court statistics in the city. This makes it all that more important for you to have experienced defense attorneys on your side. The lawyers at the Marshall Law Firm are prepared to utilize all of their skill to secure the very best result. To speak to an attorney about what we can do to help you, call us at 908-272-1700. A lawyer is available immediately to assist you.